Jose Marcelino passed away peacefully at Marjorie Willoughby Hospice on Saturday December 23, 2017 at the age of 85, in Kamloops, BC. He’s survived by his daughters, Adeila (Brian), Liz (Joel), and his grandchildren, Candice, Kristopher, Amanda, Alicia, and Andrew. He will be sadly missed. Jose was predeceased by his wife Maria, his son Julio, and granddaughter Taralynn. Also, by his parents and numerous brothers back in Portugal. Jose worked for CN Rail until his retirement in 1992, at which time farming became his primary enjoyment. 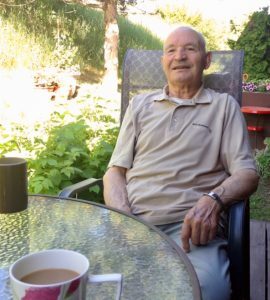 He loved farming and was at his happiest when he could talk to anyone about his fruit trees and vineyard. He was very proud of the farm. He treasured his independence, and especially loved being behind the wheel as he went on road trips for the day or just for a drive. 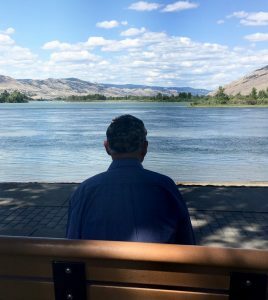 Jose, along with his wife and three young children immigrated to Canada in the late 60’s to find a better life. Life in Canada was not to be permanent as there were many struggles. The plan was to return to Portugal once their children were grown and on their own, but the arrival of grandchildren changed that. Jose visited Portugal when he could, but remained in Canada. The family would like to thank the Doctors and Nursing staff of RIH for their care during his time there. Also, thank you to the staff and volunteers at Marjorie Willoughby Hospice for their compassionate end of life care for dad. A celebration of life is to be held in the spring. So sorry for your loss, many fantastic memories will now become treasures. Hold those dear to your heart. Hugs to you all! It was always a pleasure when Joe would come to Spences Bridge for a bowl of soup wether it was at sop day or the Packing House. We will miss him. Our condolences to his family. We will miss him. So sorry for the loss of your dad. We’re thinking of you guys.